...is the point we have come to with portion sizes in Hong Kong. Fortunately, Cali-Mex are choosing to be truly pioneering and have available a super size 1kg burrito for all who wish to bulge in a Mexican manner. The super size burrito comes in all the Cali-Mex fillings–12 in total–ranging from certified Australian Angus beef, and Australian free range chicken breast New Zealand Ling fillets or juicy prawns. Vegetarians are perhaps best catered to in this Mexican restaurant too, with the vegan Venice Beach chicken (not chicken) and the sautéed spinach that we would battle Popeye for. 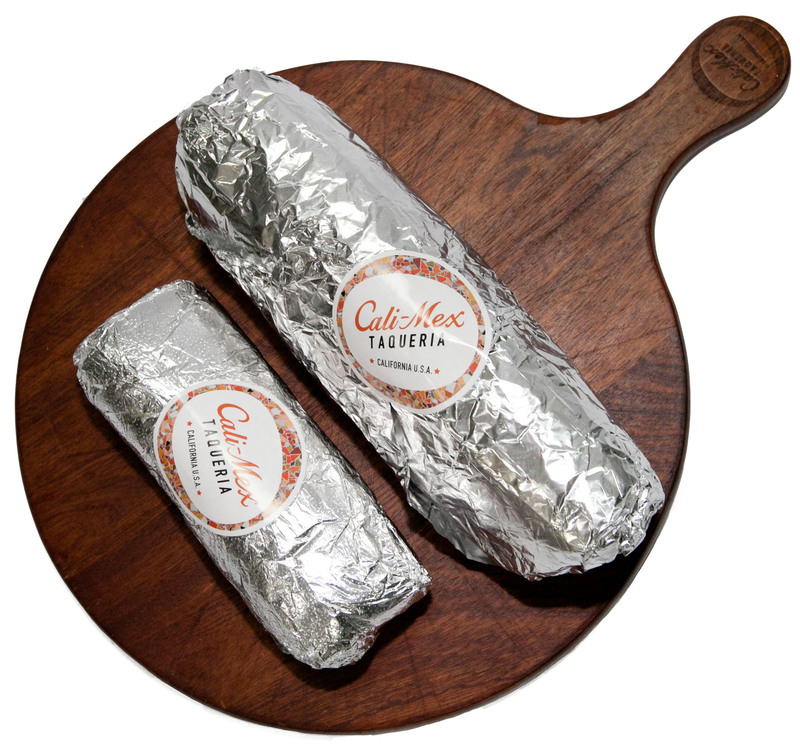 AND the 1kg burritos with Cali Mex’s signature homemade tortillas are just $168. Comparison of burrito sizes: super-size burrito to the right. Obvs. To celebrate this birth of this epic wrap, Cali-Mex are holding one super-sized competition. eat it out with your opponent to win the trip + cash! The winner of the contest will win a 5 night trip to California, the home of Cali-Mex, and a cash prize of HK$4,000. 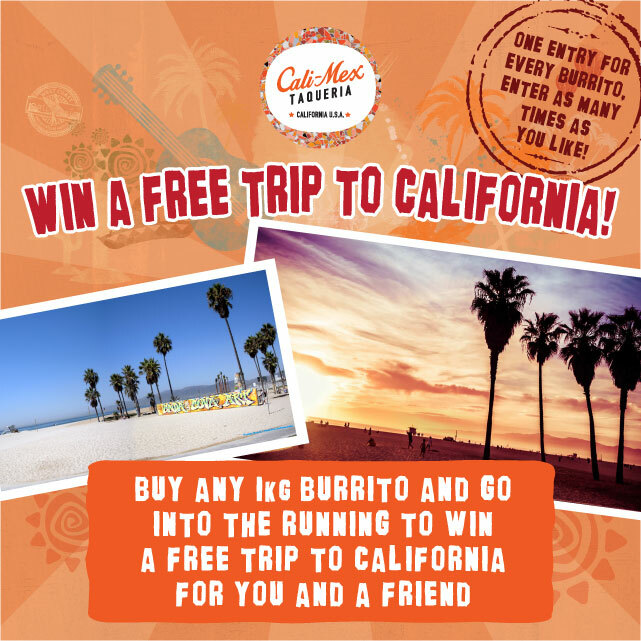 Winner takes all so start eating burritos and see you in California!